Serving as a U.S. Fulbright Scholar in Nigeria, I was invited to give a presentation titled “Convergence, Governance and Citizens’ Engagement” [at the West Africa Convergence Conference (WACC 2017), organized by Knowhow Media International. 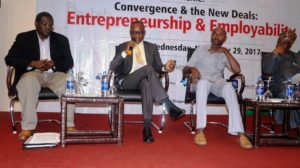 The event held at Sheraton Hotel, Ikeja Lagos, Nigeria, On November 29, 2017). a) Mirror-Holding Role: The internet provides a more diverse and extensive scope of information on politics and the political system of a country; It helps people to be better informed and educated about political affairs such that they develop the capacity to critically evaluate how democratic institutions operate. b) Window-Opening Role. The internet provides a bird’s eye view or panorama of information from which one can understand how democratic systems and modes of governance operate in other countries of the world beyond one’s own; This kind of access to information on foreign governments and democracies is not mediated by the ruling elites and state media of the developing country; Access to information on foreign democracies and governance has important impact on a person’s level of satisfaction with his or her government. I also examined the processes and mechanisms through which the social media and internet have impact on democracy and democratization and then concluded with an analysis of the contextual factors that mediate the specific and general impact of social media and internet on the process of democratization across countries. One factor here that is relevant for quick mention is the degree of internet penetration in a country, among the different regions and social classes in the country. For instance, Internet penetration in Africa is very low and often there is a class-bias in access. 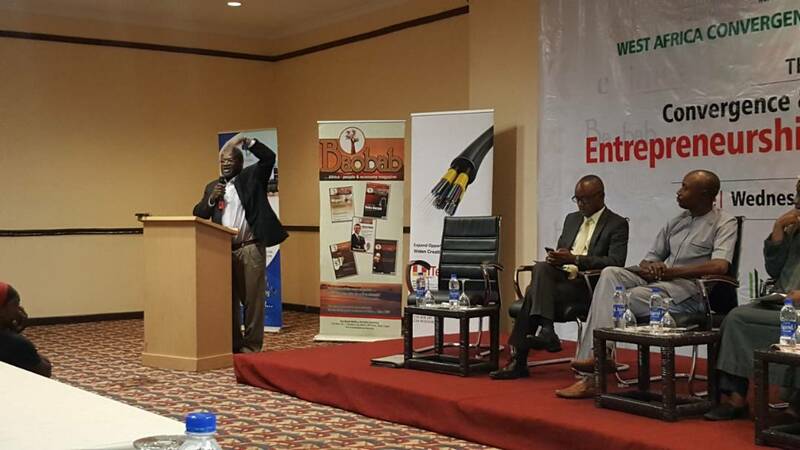 In Nigeria, the main cities that have easy and reliable access to internet are Lagos, Abuja and Port Harcourt. It is very costly to access internet because it is “pay as you go” and the data you purchase goes fast. There also seems to be little regulation of the internet service providers. It is almost like the country is a plantation for them to harvest what they want. I pay more for internet in Nigeria than in the United States in a month. In a continent where many do not make $2:50 per day, there is limited discretionary income or spending especially with high fertility rate. High fertility rate means there is need to spend most or a high level of one’s income on basic needs, especially in the lower social strata of society. 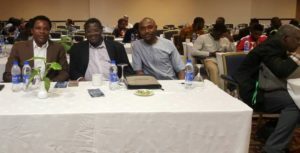 I am grateful that in one of the pictures where there are three of us seated, Mr. Clemson Ayebuisi who is an employee of the American Consulate in Lagos and the supervisor of all U.S. Fulbright Scholars in the Southern Nigerian region attended the occasion to support me. I am very appreciative of him and the U.S. Consulate in Lagos. I want to also appreciate The Knowhow Media International for inviting me. Zalanga is a lecturer at Bethel University, St Paul, Minnesota, USA.